Innovatively designed to include guidance and insights from its fitness tracker and with smartphone essentials to keep you connected throughout the day; the Fitbit Ionic is the watch we have all been waiting for. I was particularly excited to experience the Fitbit Ionic, mainly because the build up to its release had been so epic. 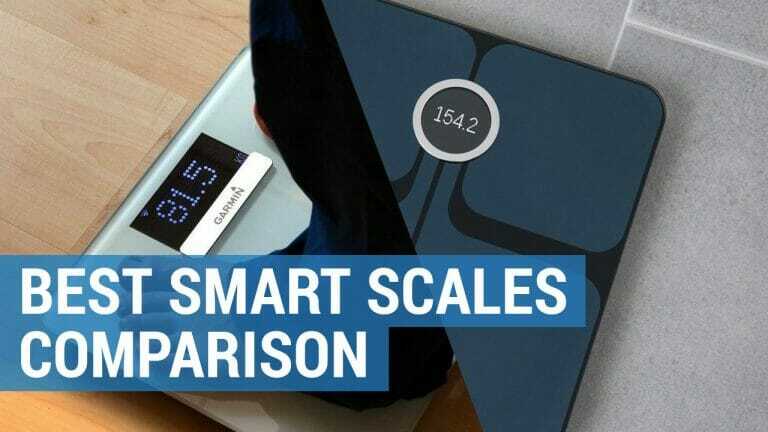 After all, Fitbit had promised us a smart watch to rival Apple; that would be premium in look, feel and design; and that would come with a battery life far superior to anything else on the market. So did it live up to the hype? Take a look at my review of the Fitbit Ionic to find out more. For its expensive price tag I was rather pleased to see that the Fitbit Ionic came with a host of extra features that are not currently available on some of the cheaper alternatives. An inbuilt GPS, water resistant casing, music storage, contactless payments and other interesting apps that I just couldn’t wait to start using. The design was retro and fun and came with a range of customizable watch faces, which allowed me to change the appearance on a day to day basis. The touchscreen looked great on my wrist (although at times could be slow to respond), and I was able to sync all the apps (of which there were far less than I was led to believe), across both my iOS and Android devices. 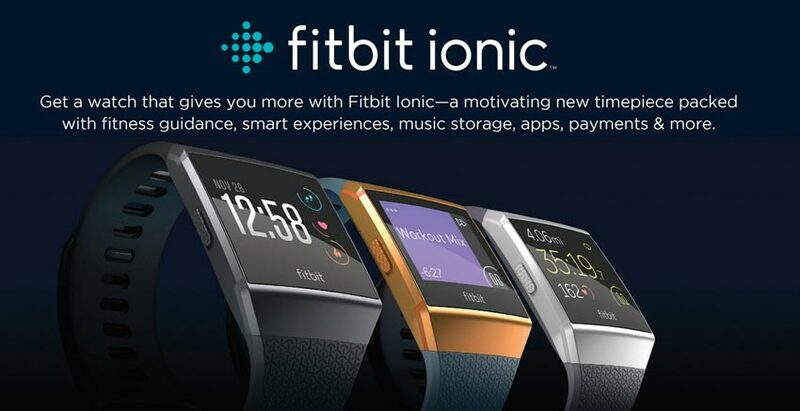 The Ionic is Fitbit’s first real attempt (if you disregard the Blaze) at launching a smartwatch. An amalgamation of their previous devices, this watch has evolved to include a host of advanced smart phone features. Read our review of the Fitbit Ionic to see how it compares to the competition. For when you need some added motivation; but can’t afford your own personal trainer; the Fitbit Ionic offers the perfect solution. Its in built coaching offers a list of workouts tailored to your fitness levels. From push ups to sit ups, you will be put through your paces. Once complete, you can feedback to your Fitbit Coach who will supply you with a brand-new exercise routine. Another motivational touch that I particularly liked, was the sedentary movement alert. Set to go off each hour if you fail to complete 250 steps, it served as a great reminder to keep moving throughout the day – especially whilst at work. With plans afoot for the future to include audio within the Fitbit Ionic, this function is only set to get better and better (as too are my fitness levels!). When I heard that the Fitbit Ionic could double as a wrist iPod, I was really pleased – not least because it meant that there was one less thing I would need to remember when heading out the door to the gym. Unfortunately, the time spent to set this function up almost made it more hassle than it was worth. Firstly, you must sync all your music files from your computer or via a paid for Pandora account (yet more money to spend). That said, once downloaded I could store up to 300 of my favourite songs and when paired to the Fitbit Flyer wireless headphones, I was able to listen to music whilst on the go. Leading such a busy lifestyle, I was impressed to see a few apps included on the Fitbit Ionic that would provide me with instant news and notifications. From sports updates to the latest weather forecast and reminder alarms to inform me of meetings etc, I had it all at the swipe of my screen. Using Fitbit’s mobile payment feature, the Ionic also allowed me to make contactless payments, so I could just tap and pay (although I fully appreciate that this could be a dangerous feature to give my wife!). Although pitched as a smartwatch, the notifications received are non-interactive, which I did find frustrating. You can view text messages, calls and calendar alerts but you cannot respond to them due to the lack of a microphone or speaker. This is fine if you want to stay updated but anything more and you’ll need to use your mobile phone. The Fitbit Ionic is the perfect accessory, and one of my favourite features (although somewhat addictive) is the ability to customize the clock face. With unique designs that range from sleek and understated to fun and fitness-focused, I found myself changing it up nearly every single day. This watch houses so many features that you could be forgiven for thinking that you would need to charge it morning, noon and night, when in fact the Fitbit Ionic has a battery life of up to 5 days! Plus with its water resistant casing, there is no need to remove it from your wrist (except when charging). 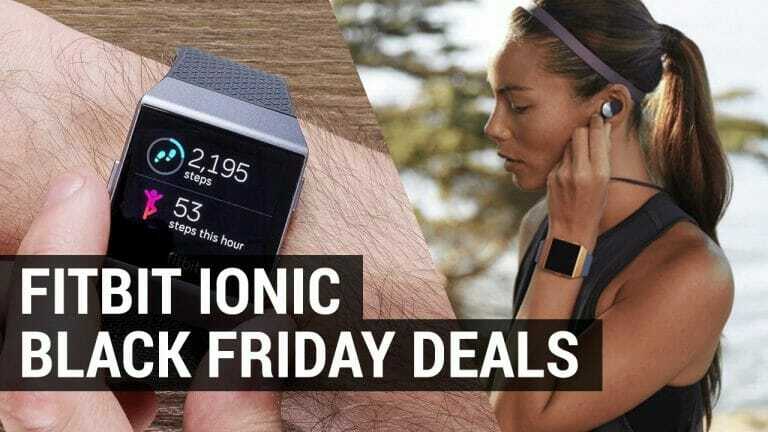 Fitness trackers are what Fitbit are renowned for and the Ionic offers all the devices you could possibly need for creating a healthier, stronger lifestyle. Helping me to understand my sleeping patterns (or lack of them) the Ionic’s Pure Pulse heart rate monitor could keep track of my time spent in light, deep and REM stages, which I then viewed each morning in the Fitbit app. I found this to be really insightful as it captured my sleeping habits, duration and quality and could determine what was causing my unsettled night’s sleep – i.e. my two small children. The Ionic features a heart rate tracker, enabling you to follow your cardiovascular health and fitness trends and providing you with a personalized cardio fitness score. The competitor in me just loves these types of gadgets that present you with a base number to try and better and improve over time. Last but certainly not least, the Ionic comes with a new and improved built in GPS. Claiming to have a stronger satellite connection than ever before, it can be used in the middle of a built-up city or on an isolated mountain range. Although the office, the gym and a run around the park were the furthest I got, I cannot wait to really put this through its paces when I take my road bike out for a spin. Thanks to a range of multi-sport modes, you can also track specific workouts, and whether you are running, hiking or cycling, the built-in GPS can show you your pace, distance and other key data stats. Plus, when you’ve finished, you can see a complete performance summary of your chosen activity. After using the Fitbit Ionic over a period of weeks, I genuinely felt like it had got to know me. From working out at the gym, to jogging to work and calculating the amount of sleep I was lucky enough to receive, it built up a profile of my lifestyle and wellbeing. I loved the fact that it could recommend workouts for me to try, changing it up as my fitness levels increased. I wore my Fitbit Ionic with pride, and the fact that is was comfortable, waterproof and practical (especially being able to use it for contactless payments), meant that there was a never a need for it to leave my wrist. This watch certainly looks the business, however in practice I found it didn’t quite live up to its promises. 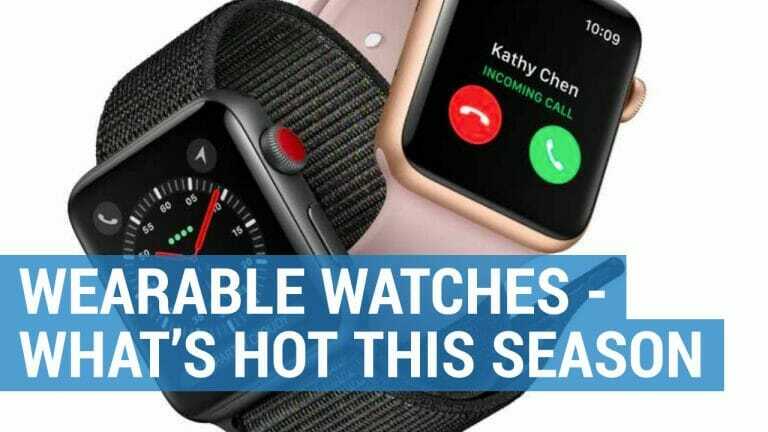 I think its main issues lie with the smartwatch features. The fact that I couldn’t interact with any of my notifications or calls was frustrating, and made even more irritating by the alerts that would constantly tell me that someone was trying to call. 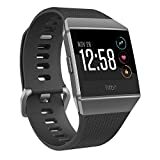 I also found the Fitbit Ionic limiting in terms of what is available now. There are very few apps that can be used and although it supports future apps and watch faces, I want to be able to experience them today and not tomorrow. What is available feels slow to run and loading them often felt more trouble than it was worth. I also found the touchscreen unresponsive at times and often had to fling my wrist around to wake the watch up. But like any new watch, they all have their teething issues of which I am sure Fitbit are aware and on the case for future models. What I most like about the Fitbit Ionic is its retro design, which sets it apart from anything else currently available on the market. It was comfortable to wear and I received several compliments whilst trialing it. Plus, being water resistant for up to 50 meters meant that I could head straight to the pool from a workout, without even having to worry. Although the Fitbit Ionic looks like a large watch, it felt surprisingly lightweight with its steel body standing up well against day to day wear. A touch sensitive screen that activates as you flick your wrist, I found the interface clear to read even in direct sunlight. The 17 customizable watch faces had to be downloaded via the Fitbit app but allowed me to mix up the display options in terms of time, date and fitness stats. Available with a choice of rubber bands including a classic or perforated leather (I opted for the sports version), I liked that you could purchase additional bands separately. That said, the Fitbit Ionic has been made with a man in mind, and unfortunately ladies have been overlooked when it comes to the styling of this watch. For the number of features the Fitbit Ionic manages to pack in, it has a battery life far superior to any other smartwatch, and I was pleasantly surprised to find that I only needed to charge it every 3-4 days. 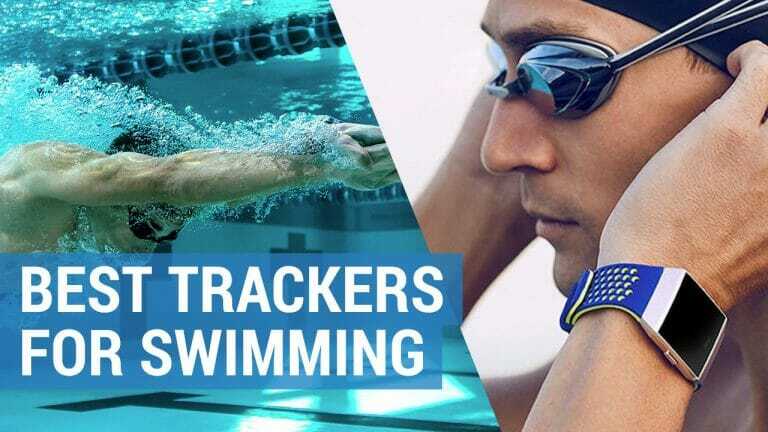 Turn on the GPS tracking and the battery does starts to deplete, but it will still last you for up to 10 hours, which is as good as any running or multi-sport watch. The Fitbit Ionic is an expensive alternative, but does have all the features we’ve been waiting. A great wearable if you are looking for a fitness tracker, but with many of its attributes still in the early stages of development, I don’t think the Fitbit Ionic is set to be iconic in the world of smartwatches!